Set in a picture-book location, holidays at the Heidi Alm Falkert mean pure relaxation for you and your family amidst scenic alpine landscape boasting jewel-like lakes and brooks, grazing cows on glorious green pastures and a crystal clear mountain air. 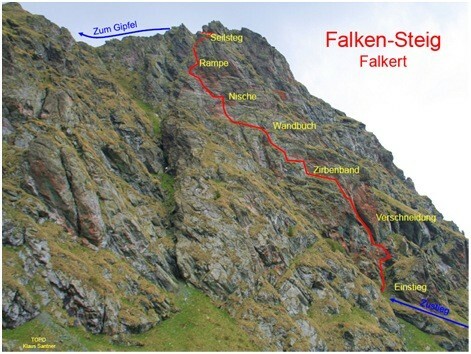 It is entirely up to you whether you choose to simply laze and unwind, discover the Falkert alpine pasture and the Nockerge national park during a family hike or take part in our exciting activity program. In any case you are sure to feel refreshed after breathing the healthy mountain air and experience an incredibly healthy and restorative holiday! Featuring characters from the Heidi cartoon film that teach visitors interesting things about life on the mountain, the Heidi Alm adventure park provides an extraordinary experience for children and Heidi fans. Heidi's SchneeAlm in winter with magic carpet and rope lift, wave track, rails, kickers and boxes offers the family center with 100% snow fun! No one will lose in the fenced area and it is absolutely safe.